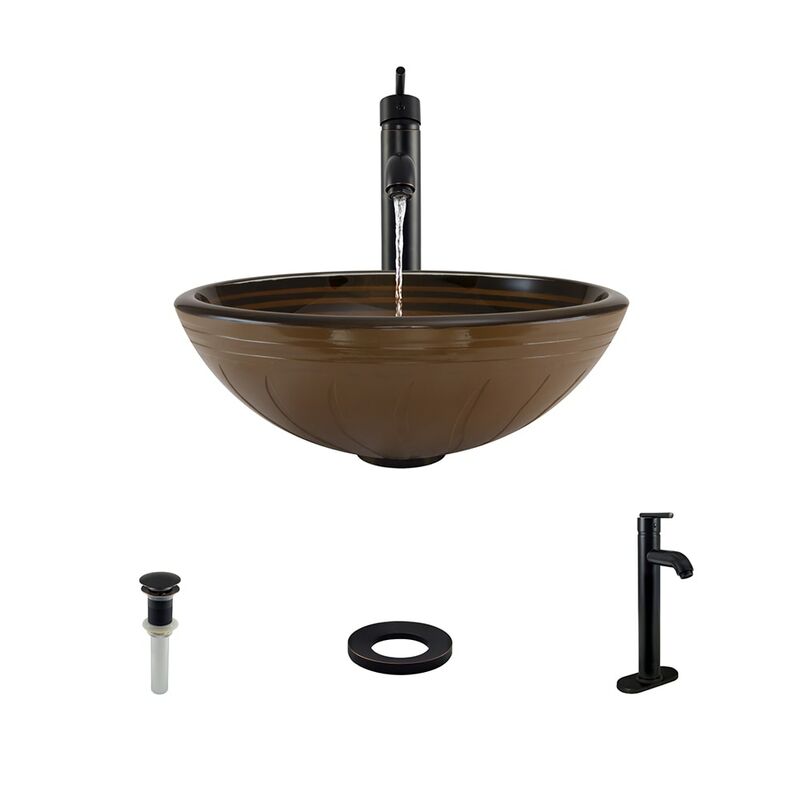 The 913 sink from MR Direct is a classic example of superior craftsmanship. It makes an artistic statement in any kitchen by flaunting its hand-hammered texture. Besides being an apron, or farmhouse-style sink, the 913 has a number of distinctive features. It is constructed from 99% pure mined copper, and its appearance will change over time as oxidation slowly produces a surface coating known as a patina. This effect is usually a major incentive for purchasing a copper sink, therefore MR Direct does not use any lacquers or waxes which could temporarily impede its development. Sound-dampening pads on the underside of the sink keep noise to a minimum. Additionally, it is the largest of the apron-style, single-bowl copper sinks offered by MR Direct. Its depth provides plenty of room to handle large pots and pans or major chores; and its front facing is a straight textured panel with soft beveled ends. Overall, the 913 measurement is 33 1/8" x 20 1/4" x 9 3/8", and will require a custom apron-style cabinet. One matching, pure copper strainer is included to prevent unwanted waste from falling into the plumbing below.